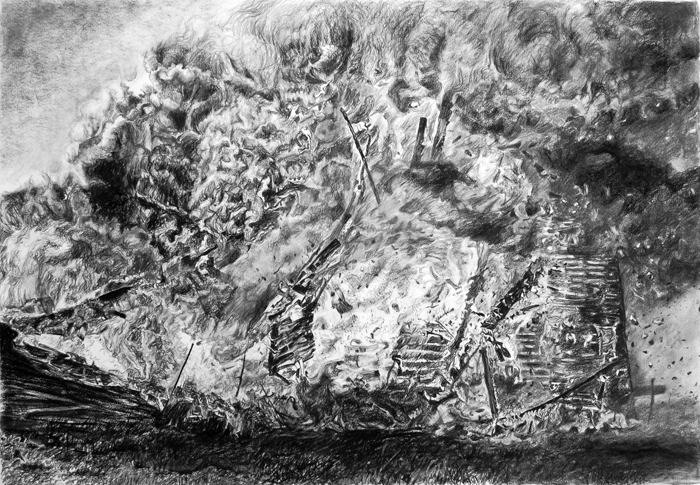 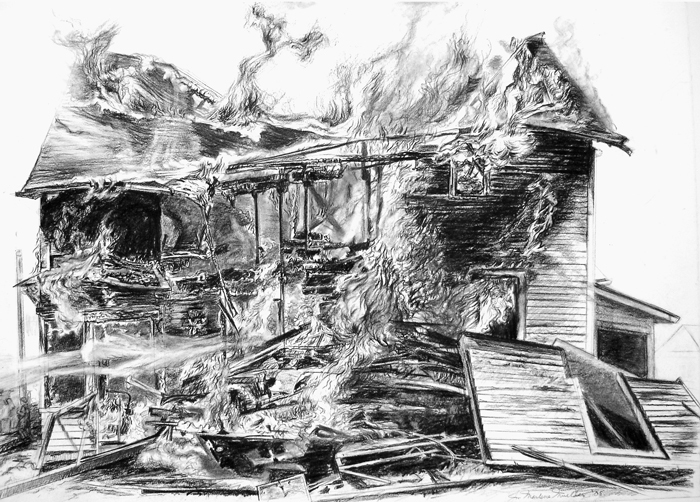 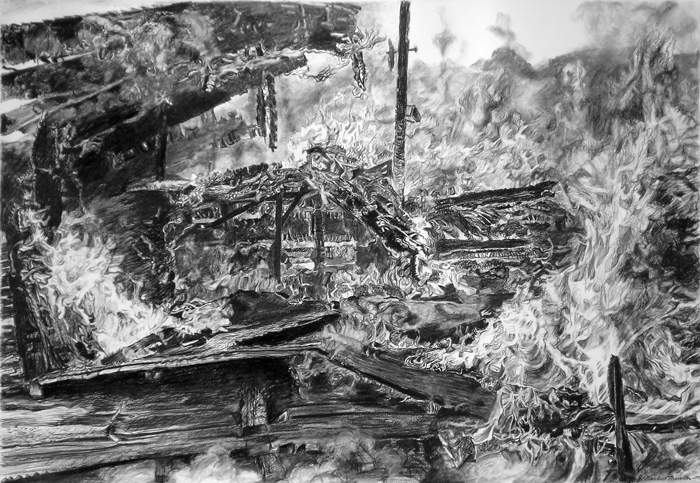 Mueller’s exhibited charcoal drawings are based on experiences as a member of a volunteer fire department in northeast Nebraska. 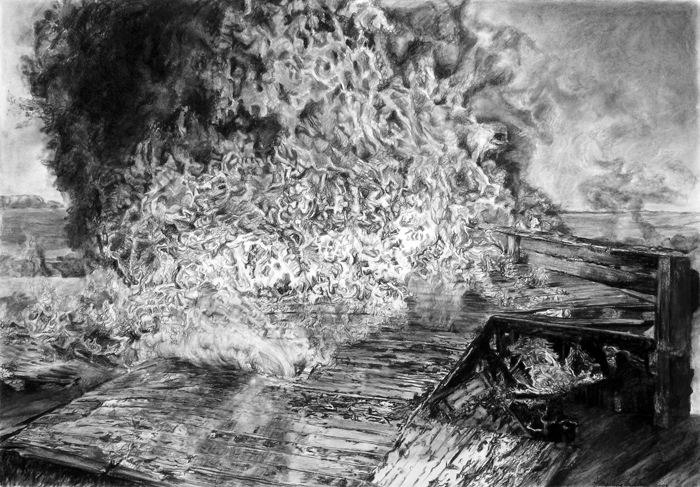 This position afforded her the opportunity to observe the characteristics of raging fires from a very near vantage point. 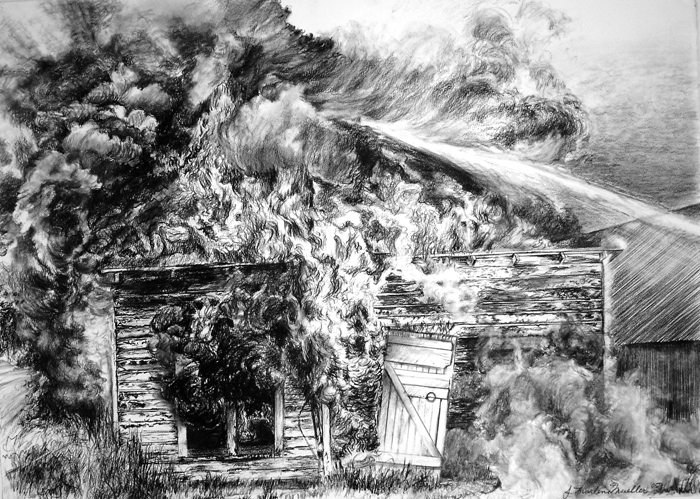 The series on display at KHN depicts the controlled burn of a farm building and the escalating stages of the fire as flames and smoke consume the structure, which is eventually no more than a pile of ash. 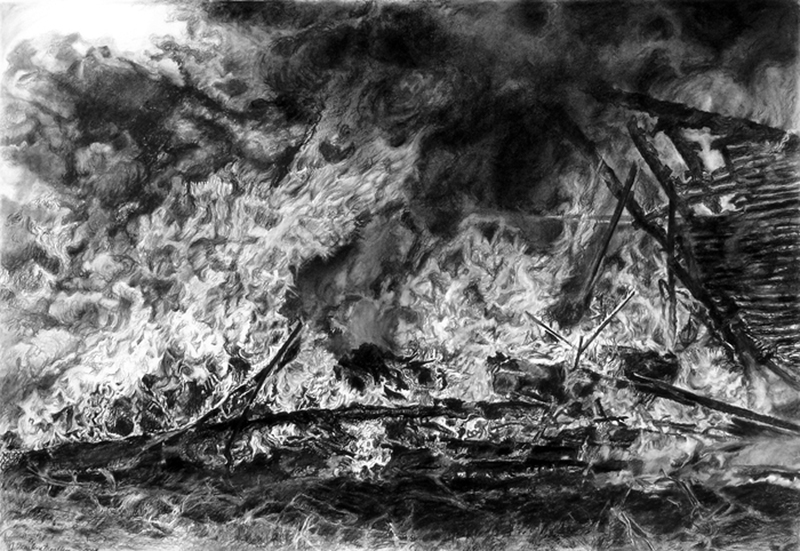 The charcoal drawings are derived from photographs taken by the artist and executed in a medium that speaks to the transformative qualities of fire.